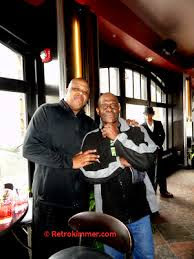 We are close in age and of course we both love the same Detroit Rock n Roll/Motown legends . That topic we basically skimmed over. we talked about many different genres of music. DW2 told me that the first band to really blow his mind was YES... Lots of guys in high school loved YES but it did set me back a bit to listen to one of the Winans talking about YES! Quite unexpected and very true to our Detroit area roots...We really grew up listening to everything! DW2 is into progressive rock and the complexity and sophistication of its music. Bands like Gentle Giant, Yes, King Crimson, Genesis, Roxy Music, Chicago, Jethro Tull and I think we even touched on Sun RA. Progressive rock crosses many musical genres including folk, soul, jazz, and classical. Not for the faint of heart! 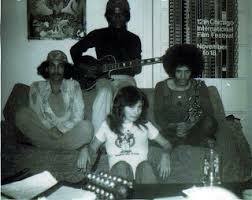 One of his early bands was Xairia they were a Los Angeles progressive rock group in the late 70s - early 80s. The nucleus consisted of Veech Malone on bass, David Winans II on Guitar and Mike Anderssen on drums. Xairia had two vocalists, Rick Murphy and David Lamb. David's current project is David Winan's Pi. 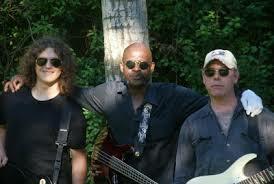 This band consists of DW2 – Bass/ Vocals/ Keyboards, Greg Nelson - Guitar and Vocals, Mike Livy- Drums, Nick Pigeon-Guitar. This is a hot band! David Winans' pi "It's Gonna Be Alright"